The imminent opening of The Second Line, Chef Kelly English's no-reservations-required restaurant and bar, next door to the fantastic Restaurant Iris has me thinking a lot about po boys; the New Orleans sandwich is set to be the main attraction at The Second Line. I, for one, am super pumped to have an authentic po boy shop right here in Memphis. On occasion when I'm in the Crescent City, I'll sit down and take on a monstrous French Fry Po Boy from Mother's. You see, the first, the original, and possibly still the best po boys were made with French fries and gravy on a light and crispy baguette. "What else is possible?" I thought to myself. 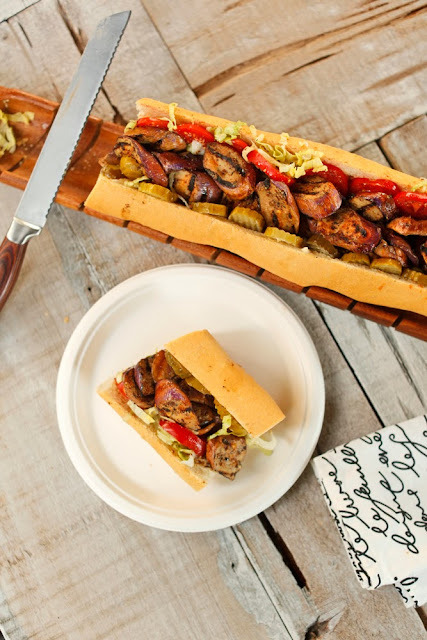 I came up with a list of things to try, including this fantastic Grilled Andouille Eggplant Po Boy. It's a pretty good start! In a small bowl mix together the salt, thyme, red pepper, garlic, and black pepper. Set spice mixture aside. 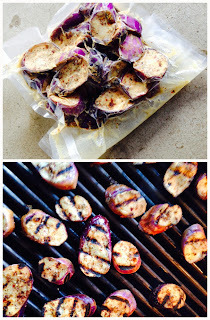 Toss the eggplant slices with the canola and the mustard and then add the spice mixture. Toss to evenly distribute the spices. Cover and set aside in the fridge for 1 hour. Preheat your outdoor grill to high. 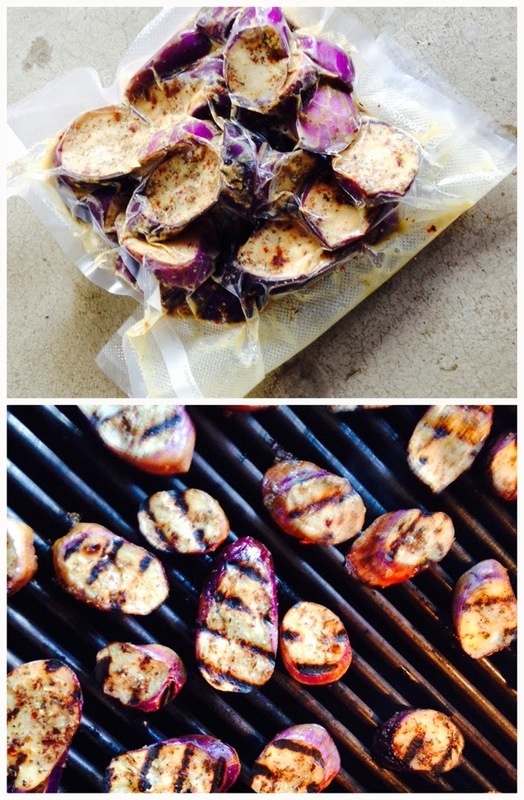 Once the grill is up to temperature, grill marinated eggplant slices on both sides until well marked by the grill grates. This should take about 4 minutes per side. Remove the eggplant and get ready to assemble the sandwich. Oh my god yes. And thanks to the power of suggestion, my version is gonna have french fries if I can find a way to cram them in.